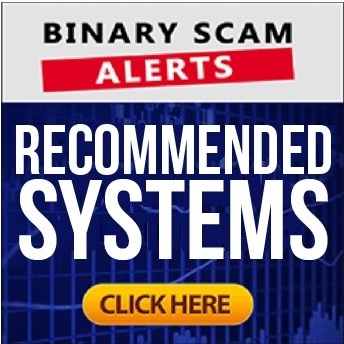 Binary Scam Alerts » Cryptocurrency Scam Reviews » Crypto Scams On The Rise, Don’t Be The Next Victim! Bitcoin’s popularity is constantly on the rise and with that popularity crypto scams are also getting more sophisticated. Executive FCA Board member and Chief Executive Andrew Baily has plainly stated that financial scams cause the United Kingdom over 30 Million Pounds every month, and that number keeps growing. So how do you identify these scams, what types of crypto scams are there, and how do you know when you are being targeted? These are all questions we shall try to answer in this revealing article. There are various red flags and alerts which should pop up immediately and cause you to be suspicious when stumbling into a get-rich-quick scam. The first has to do with promises and claims of making lots of money fast with little or no risk. That is the immediate giveaway, and if you received an email with a “private invitation” to join a profitable new program then you need to stay away from it. Secondly, the presenters are unknown and don’t have any social profiles on Linked In or Google+. That means they are paid actors and in most cases totally oblivious as to what it is they are endorsing. High yield investment programs offer you almost immediate gains on a regular basis. But these programs are designed as a pyramid scheme and as soon as the client base decreases the website and service gets shut down and you can kiss your money goodbye. Obviously if you had the luck of being one of the first ones to join the scheme then you may have actually made some money, but that is rare and if you are a part of the inner circle then you are actually the one doing the scamming. All HYIPs are scams so just don’t sign up for any of them. This is another type of pyramid scheme where the client base pays the interest for the rest of the members. This is considered to be a fraudulent form of investing since the profits are not derived from legitimate gains rather from other members which are adding cash to the scammers coffers. Originally invented by Charles Ponzi in the 1920’s, the biggest Ponzi Scheme was orchestrated by Bernard Madoff who is credited with the dubious title of “the worlds biggest investment scammer” directly responsible for defrauding 64.8 Billion Dollars out of 4,800 clients. The way to spot a Ponzi Scheme is by checking and verifying receipts and invoices. If the numbers match the profit statements and the issuing entities are legit and exist then you are safe. If not, you are being bamboozled. ICOs or initial coin offerings are a way for entrepreneurs to recruit investments from the public in a new coin. Some ICO’s are legitimate and have real people back them up, but many are scams and totally anonymous. These are designed to sell you dreams, steal your coins, and send you on your way. To avoid a fake ICO always look for a road map, white paper, and check the profiles of the people behind it. These are a type of reward systems which are very similar to comps in a casino. One Satoshi is a hundredth of a millionth BTC, and these are offered as a type of incentive for performing certain tasks like clicking on a link, liking a post, making a comment, or engaging in a community. Fake faucets will offer you these incentives but never pay, so to avoid getting scammed keep it small. Do a minor task to see if you get paid and then continue gradually. Never have too much money being owed and insist on getting paid as agreed. If you have suddenly received a phone call from someone who claims to be from an investment firm, brokerage, or even an exchange and they are asking you for an investment in Bitcoin or cryptocurrencies then you should know you are getting scammed. This is especially true where older people are concerned or alternatively victims who are clueless about how Bitcoin and other cryptocurrencies work. As opposed to credit card fraud, when you provide your card number under false pretenses you have insurance. With Bitcoin there is no insurance and no way to remedy the situation so basically you are left without recourse. If you see a seemingly legit news page on the internet, but somehow something seems “off”, then you should know you are not looking at a real new page. Usually what happens is that smart search engine marketers use a trick called a Doorway Page which exploits a news trend and indexes itself as a legit website. After you enter a page like that you are redirected to what is commonly referred to by marketers as a “system page”, which typically has something which looks like news, a small video on the side, and some links which redirect to an actual scam like Bitcoin Trader or Bitcoin Code. We have been getting a lot of complaints about various individuals using fake profiles reaching out and illegally soliciting people over social networks. As opposed to traditional websites which can be blacklisted, these people are ghosts and can alternate between different profiles on a daily basis so its pointless trying to expose them in that context. Best way to identify a Facebook scammer is by documenting everything and showing it to a third party you trust. If you feel something is off then you are being manipulated into buying into a program where you know how much your initial investment will be, but you can’t ever know how much money the crooks on the other side will eventually end up charging you. As always, a hefty dose of skepticism and a grain of salt will save you a pretty penny. Recently The Financial Supervisory Service in South Korea in cooperation with local Bitcoin communities exposed a huge cryptocurrency scam: a fake exchange named BitKRX which falsely represented itself as one of the largest trading platforms. In reality, when investors signed up and started providing their Bitcoin addresses they ended up having their coins stolen by a very sophisticated online fraud ring. Best way to avoid a fake Bitcoin exchange is to use the well known ones like Kraken or Coinbase even if it means paying a bit more. This is where you are invited to click on a certain advertisement which uses a name very similar to a legit vendor like GDAX. Once you click that you are redirected to a page which is very similar to the GDAX login and members area. When you use your username and password to login the software documents this information and then it is used by crooks to login to the real GDAX account and then they clean you out and steal your money. There are other scams like the Nigerian SCAM where you get a mail asking you to send money to help our some poor soul, or Ransomware scams (which is really extortion) where you have to send cryptocurrency somewhere in order to get your files and computer released. However, these are the main types of scams. Remember, the more up close and personal the con artists get, the more effective the scam will be so you should not feel bad about telling them to move on and leave you alone. In fact, you have to do it if you want to hold on to your money. Don’t forget to join our Facebook Group and YouTube Channel and get informed about new scams.